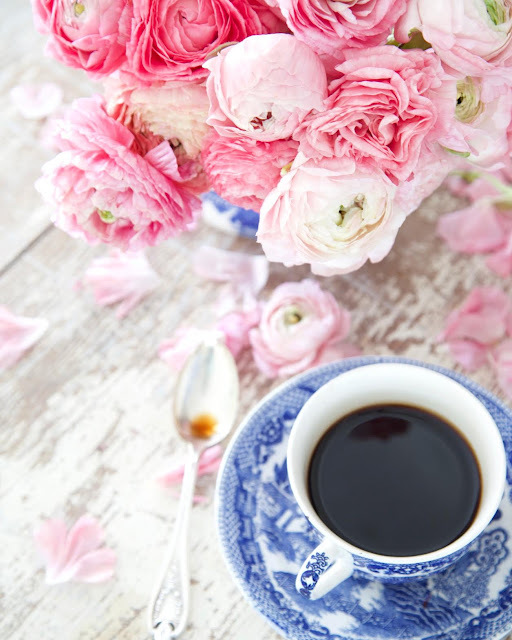 quiet moments sipping coffee and taking a bit of time to simply 'be' are perfect for the weekends. Especially after a busy few days. I have shared before that I am one of those girls who is a night owl... and an early morning girl. But lately, I have been enjoying getting up early and taking a few moments to savor the quiet while I sip. 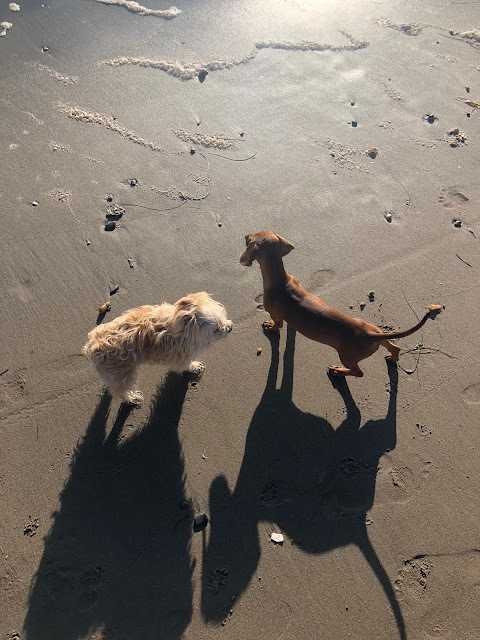 We spent a week on the coast while in Southern California and aside from sandy toes and wind blown hair, these two had a glorious time chasing each other on the beach and digging holes in the sand. Cleo is a definite digger- she sticks her entire face into the sand and keeps going and going. Sweet Pea is more of a 'I'll help for a minute and then I'm just going to watch you look like a goofball when you are covered in sand'. 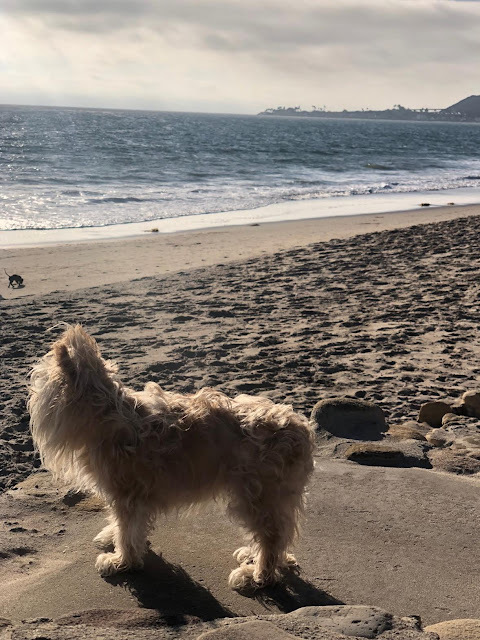 It was Cleo's first time at the ocean- and we think Sweet Pea's too but since she was adopted- we aren't sure. Either way- they both loved the beach so much. My usual morning run is a walk right now. And I am okay with that. 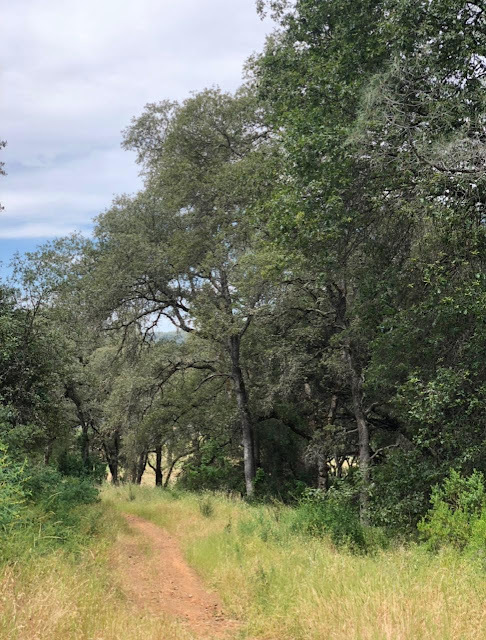 It is so good to be out walking good distance again on that sprained ankle. And while I don't really get into the zone I tend to get into while running - that quiet time walking a few miles boosts my mood so much. 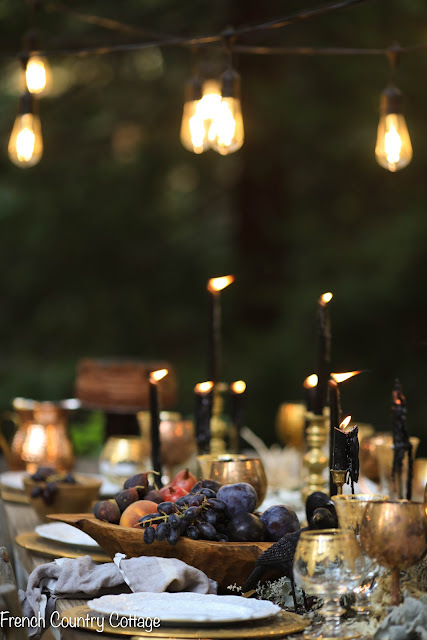 This week, I have been working on a halloween styling to share with you. And I will admit- I got a bit moody while playing. Here is a peek- and I have to say, kind of loving those rich dramatic colors which are totally different from my usual go to pastels. Stay tuned for more coming your way this week. I have been working on something with friends at Soft Surroundings in the past few months- and we are this.close. to finally sharing more. A hint? It has something to do with French Country Cottage. Soft Surroundings. I wrapped up my last issue working with Romantic Homes in September. It has been so much fun working with them and I enjoyed the year I worked as their editor and learned a whole lot about magazines and publishing and alllll the amount of work that goes into print. And in August, I took some time off and stepped back to work on launching my book and book tour travels and some exciting opportunities that I can hardly wait to share with you (hopefully soon.) and I wrapped up the issues I was working on and resigned from RH in September. I am grateful for the fun and experience of being their editor- and I know the next editor and they will do an amazing job! 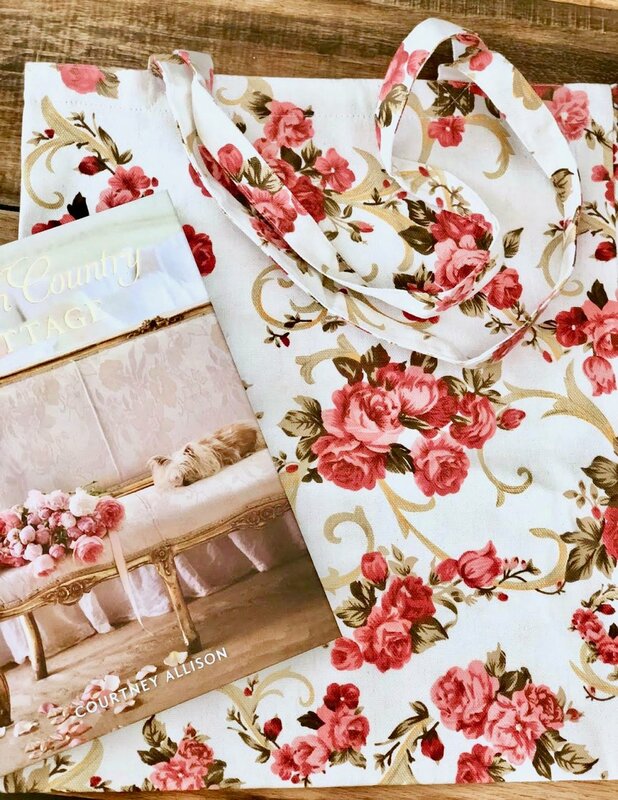 I have pulled out my boots and been perfecting my southern drawl all week- because, I am heading to Texas next week for 2 book signings and a bit of fun with my friend KariAnne from Thistlewood Farm. 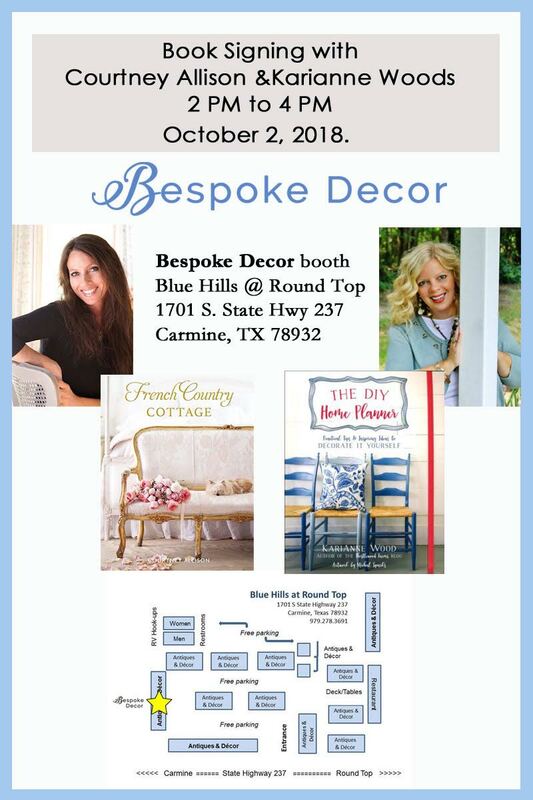 If you are going to be in Round Top on Tuesday- we will be in 2 spots signing books and chatting with friends. First up- Blue Hills with another friend- CedarHill Farmhouse. We will be in her booth for a couple of of hours with books in hand. 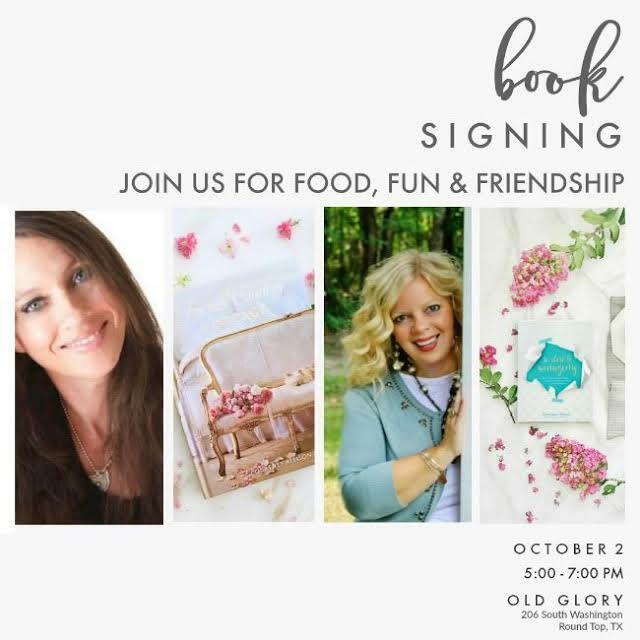 And then we are heading over to Old Glory where Holly is hosting a fun evening of antique shopping, live music and drinks and- a book signing. 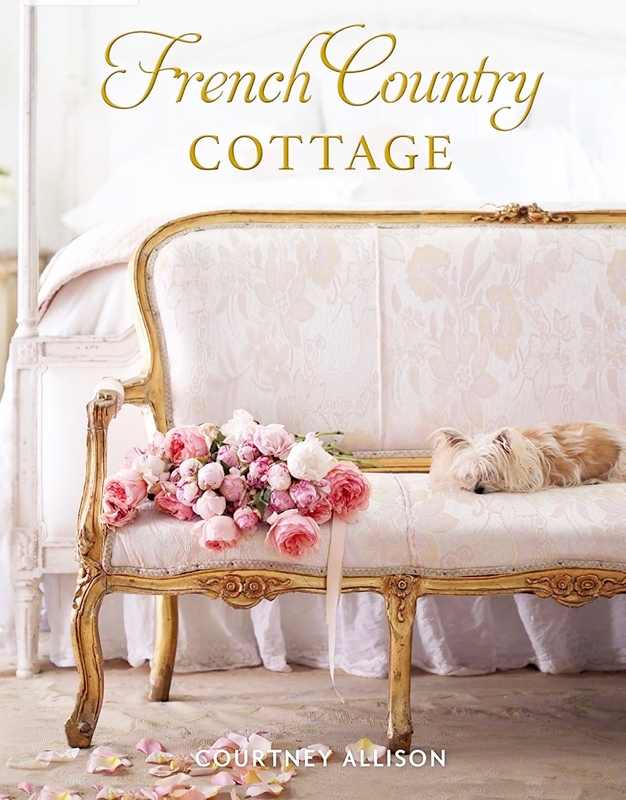 I will be signing books and celebrating French Country Cottage with my Eloquence family. The signing is on Saturday October 13th from 4-6pm in the Eloquence showroom. 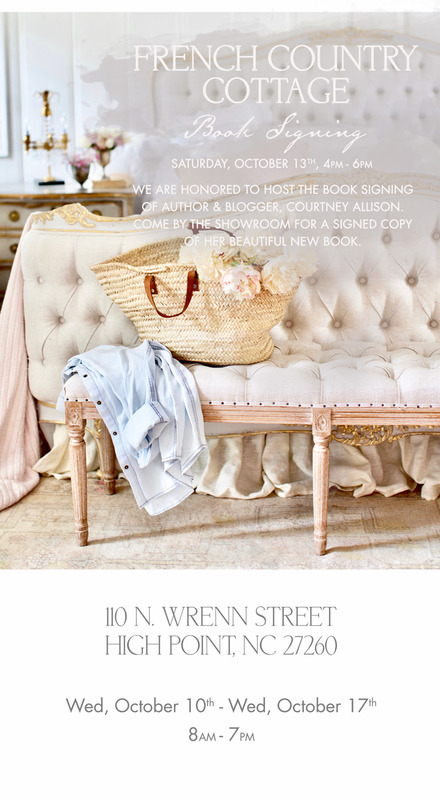 No need to register for market to go to the signing- so if you are local- jot it down and come on by. And if you are at market- hope to see you there too. 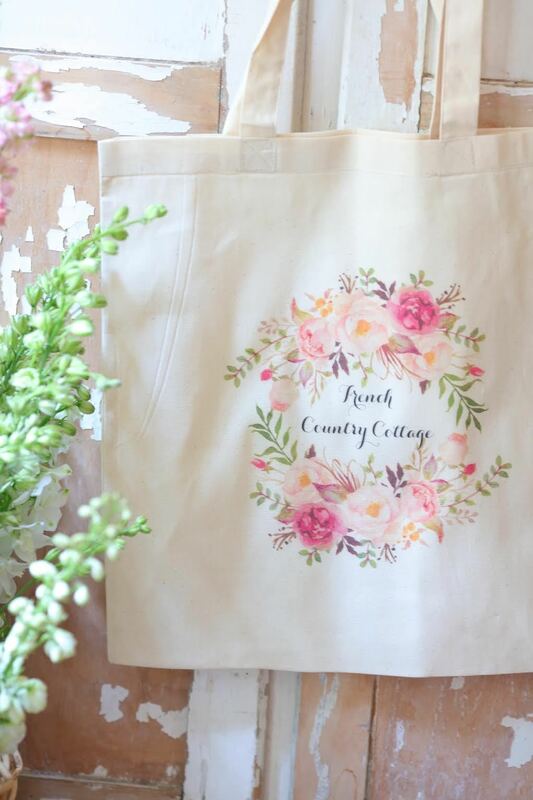 as well as French Country Cottage book totes in my Market. 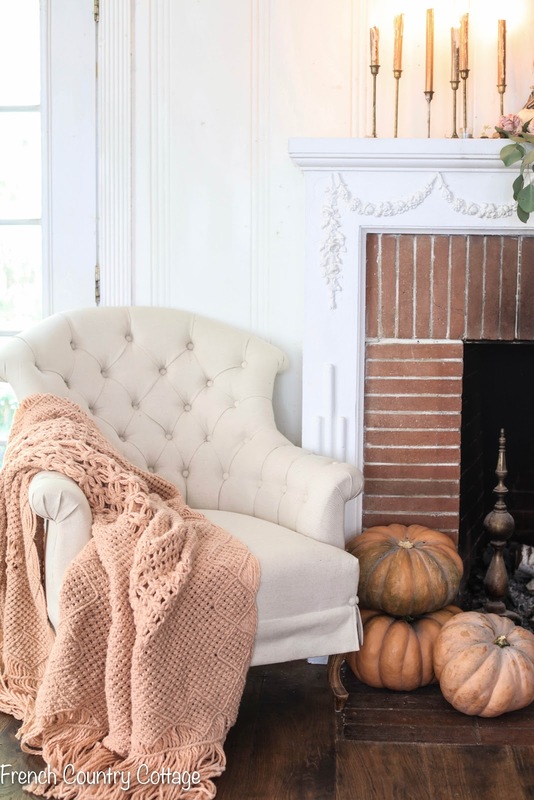 just wanted to let you know that I wrapped up working on November and December with Romantic homes this week- and am handing off the torch to the next editor. 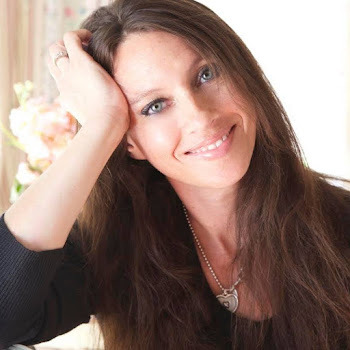 It has been such a fun year working with them- and I am grateful for the experience- but with my book releasing- I am pouring my energy into that and am focusing on some really exciting new opportunities that I cannot wait to share with you all hopefully soon. Thanks so much for your support as always!! 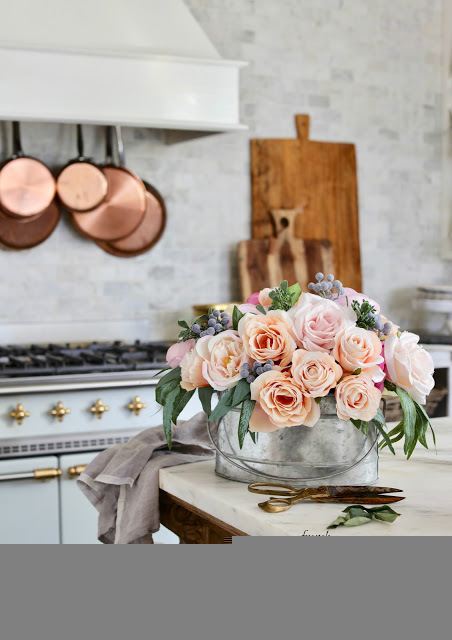 and my favorite tips for 5 minute decorating- staring that series up again. Oh! Look for my sister, Peggy Cones! She is in a tent at the Red Barn. Her shop is called Cones Cupboard from Sweetwater , TN. You will love TEXAS. You will probably want to stay. Changing your address will be easy. 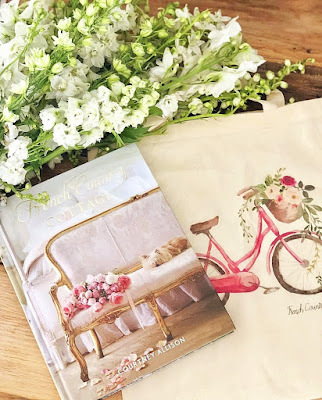 So much fun, meeting new people and sharing your wonderful new book! 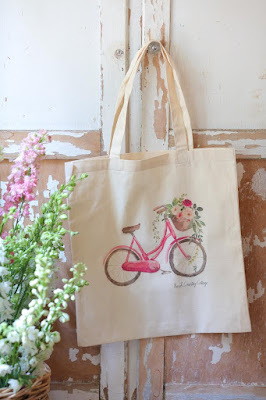 I can't wait until your bike and blooms market bag is back in stock too. Have a beautiful week, enjoy. Oooh, love the new profile pic. Gorgeous baby blues!